P. M. S. DAWSON teaches at the University of Manchester and is the author of The Unacknowledged Legislator: Shelley and Politics (1980). He is working on a study of John Clare and his historical background, as well as editing a number of Shelley’s notebooks for The Bodleian Shelley Manuscripts (Garland). NANCY M. IDE, Assistant Professor of Computer Science at Vassar College, received her Ph.D. in English with a minor in Computer Science from Pennsylvania State University in 1982. She is president of the Association for Computers and the Humanities and is completing a book on computer programming for literary and linguistic analysis. PETER OTTO teaches English at the University of Adelaide. 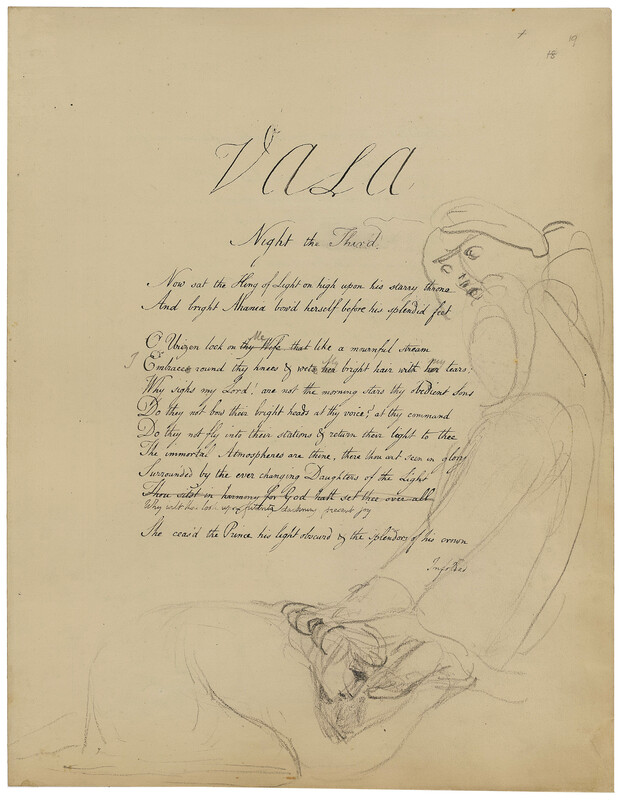 He recently completed Constructive Vision and Visionary Deconstruction, a doctoral dissertation, concerned with the relationship between Los, Time, and Eternity in Blake’s later poetry. STEVEN GOLDSMITH is Assistant Professor of English at the University of California, Berkeley. His current research investigates the strategies by which English romantic writers resisted the lure of internal and ahistorical apocalypse. DONALD H. REIMAN, Editor of Shelley and his Circle, is writing on Byron and Countess Guiccioli for volume 9 of that edition and transcribing materials for The Bodleian Shelley Manuscripts (Garland). MICHAEL J. TOLLEY, Reader in English at the University of Adelaide, is at work on the page-by-page Night Thoughts commentary. All illustrations in this issue are from The Four Zoas, reproduced by permission, courtesy of the Trustees of the British Museum. International Standard Serial Number: 0006-453x. 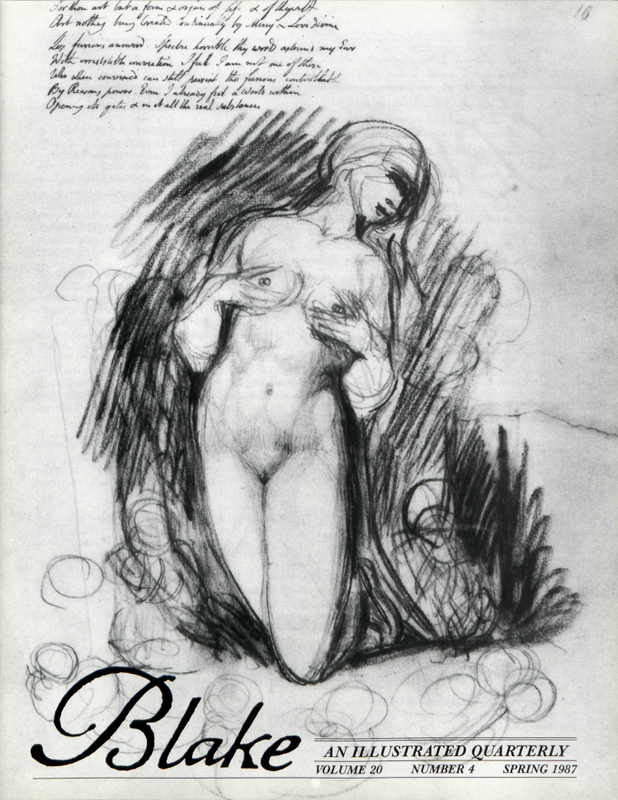 Blake / An Illustrated Quarterly is indexed in the Modern Language Association’s International Bibliography, the Modern Humanities Research Association’s Annual Bibliography of English Language and Literature, English Language Notes’ annual Romantic Bibliography, ART bibliographies MODERN, American Humanities Index, the Arts and Humanities Citation Index, and Current Contents.